Switch owners might be in for a virtual console treat sooner than they think. Nintendo recently released the latest 4.0.0 update for the Nintendo Switch, bringing with it several exciting new features. These features include the option to record and share 30-second gameplay clips, a pre-purchase functionality for games, and the ability to transfer save data over to another system. However, the biggest addition is arguably the added support for USB headphones. On the surface, support for USB headphones may not seem like much. That is, until you realize this feature opens the door to GameCube controller support, as Twitter user Master Mewking discovered. In order to use GameCube controllers with your Switch, you’ll need to have the GameCube USB adapter (which Nintendo released alongside Smash Bros. for Wii U) on hand. Once you’ve hooked up your GameCube USB adapter to the Nintendo Switch, it’ll be detected as a “USB pad” in the system’s controller menu. 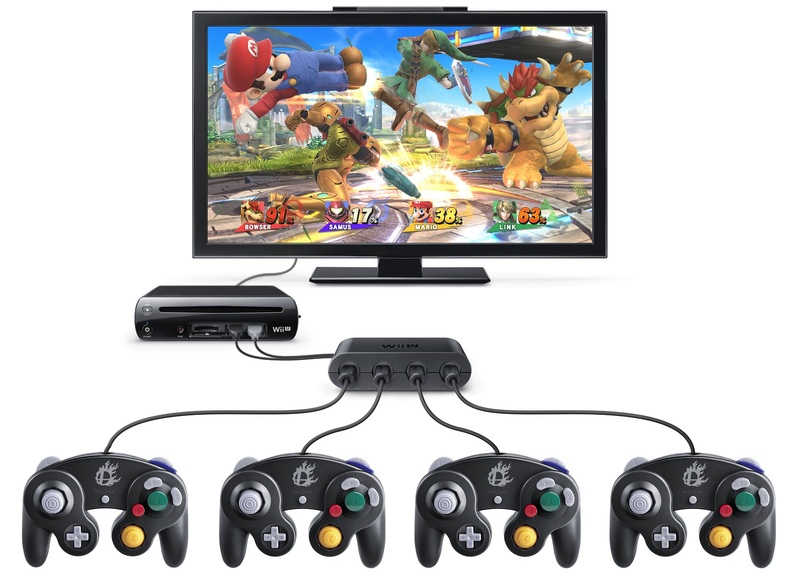 While the GameCube USB adapter was intended for Smash Bros. use with the Wii U, there are no apparent restrictions when it comes to using it for Nintendo Switch games. This means you can use a GameCube controller in place of a Pro Controller, for example. For certain games, like The Legend of Zelda: Breath of the Wild, we don’t recommend this. Especially considering the GameCube controller has no ZL-equivalent shoulder button (rendering Link’s shield useless). Overall, it’s exciting to see our beloved GameCube controllers work with the Nintendo Switch. Whether this is an oversight by Nintendo, a precursor to Smash Bros. for the Switch, or a possible hint at the upcoming release of virtual console, remains to be seen. Either way, we’re excited for the future and hope to see more unexpected additions (like GameCube controller support) make their way over to the Nintendo Switch. What do you think of this fascinating Nintendo Switch discovery? Could it indicate the impending release of virtual console? Let us know your thoughts down in the comments below!